Finding a leak in your roof is not always a simple task. Water could be gradually leaking into your home, but there is not always an exact trail that leads to the problem spot. Here are some helpful hints on how to find some of the more uncommon leaks in your roof. The first thing to know is that not all leaks come from the roof. A residential roofer will be able to check out the entire roof and determine whether or not there is a leak. If there is not a leak in the roof, there are several other areas you can check. A new roof installation can be a costly expense and one that should require future checkups. Homeowners can do these checkups by themselves without having to hire a professional. Here’s a look at some simple ways to maintain a residential roof. Many people see roof replacement as a simple two-part process. The old roof comes down and then a new one goes on. However, one aspect that cannot be discounted is making sure the appropriate protective measures are taken throughout the entire roof repair process. Selecting a shingle color for your roof might seem like a relatively easy thing to do. However, it can be a little more difficult than most homeowners would tend to believe it to be. When that time comes for roof replacement in Charlotte, here are some tips to help you decide on the right shingle color for you. Flat roofing installation in Charlotte is becoming more and more popular on residential homes. However, not all flat roofing is completely flat. Some flat roofing contains small slopes which are recommended for drainage purposes. These slopes are sometimes very slight, but they help immensely when it comes to water runoff. There are also a good deal of reasons why flat roofs are gaining more favor among homeowners and here is a look at the perks that come with flat roof installation in Charlotte. Many homeowners are always on the lookout for ways to save some money when it comes to home repairs. While some home do-it-yourself projects are manageable, others can be an extremely difficult undertaking. When it comes to residential roof repair, here is a look at the drawbacks that come with doing it yourself. The winter months can be cold and unforgiving. That also applies to homes. A residential roof is extremely susceptible to damage during the winter months, especially when it comes to ice. An ice dam on a roof can call for entire roof replacement, but the problem does not begin outside of the home. 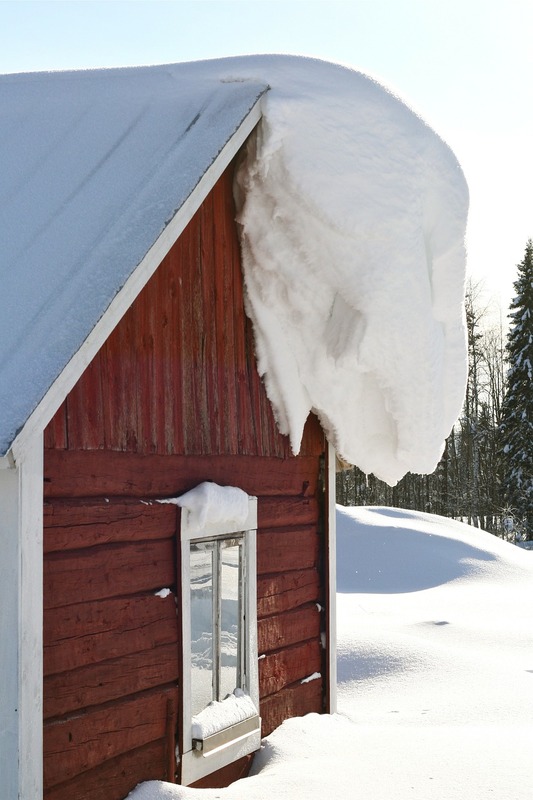 While ice dams form on the exterior of the home, the root of the problem starts from within. Just like any other business, there are roofing contractors out there looking to make a quick buck by taking advantage of clients. There are a variety of underhanded tactics some roofers will use to squeeze money out of homeowners and businesses. Rose Roofing Charlotte NC shares some unscrupulous roofing tactics to watch out for. Not every homeowner is well versed in all the finer points of Charlotte residential roof repair. However, homeowners can do their part in preserving and extending the life of their roofs. Here is a look at some tips on what not to do when it comes to maintaining your roof. Severe weather can take its toll on all kinds of roofs. However, when most people think of severe weather, visions of harsh winters usually come to mind. While the winter months can cause their share of damage, the summer months can also leave residential and commercial roofs in disarray. Here’s a look at the biggest summer threats to your roof and several ways to combat them. Rose Roofing of Charlotte NC was established in 1993 and has worked tirelessly to provide quality roofing services in Charlotte and the surrounding North Carolina areas. Partnering with top industry names like Owens Corning and GAF Roofing, Rose Roofing can provide you with the best possible quality products, services and prices in the industry. You can rest assured that owner Larry Rose will be on site with every single roofing job, from beginning to end, taking extra care to protect your home and it’s surroundings while also making sure that the job is completed with the utmost attention to detail. Larry Rose of Rose Roofing has been providing residential roofing, roofing repair and roofing contractor services in Charlotte and surrounding NC areas for over 25 consecutive years; you will be hard pressed to find any other roofing company in the area with anywhere near the reputation, experience, reliability and professionalism of Rose Roofing. Call us today to see how we can help you! Fully Licensed and Insured. While not every homeowner is an expert when it comes to roofing, there are easy ways to help maintain the life of any residential roofing Charlotte NC. Here is a look at the proper measures every homeowner can take to maintaining the life of their roofs. A roof could spring a leak at any given moment and that could mean a potentially damaging situation in your home. Even an emergency roofer will not be able to arrive on the scene instantly. That means homeowners might need to do some patchwork of their own until a professional Charlotte NC roofing contractor arrives. Here are the steps to take should you face a sudden leak inside your home. Roofing contractors start out the roofing process by providing estimates to potential customers. That involves coming out to the client’s property, inspecting the roof and recommending repairs. This is an important part of the process as every homeowner and business owner should be aware of what a roofing estimate really entails. The friendly team at Rose Roofing Charlotte shares some tips to ensure you get the proper estimate. At some point in time, every homeowner is going to need the services of a roofing company. The average life of a roof generally lasts anywhere from 15 to 25 years. Not every homeowner is well versed in all the finer points of Charlotte residential roof repair. However, homeowners can do their part in preserving and extending the life of their roofs. Here is a look at some tips on what not to do when it comes to maintaining your roof. Roofing Charlotte NC Roofing Contractor and Roof Repair with Rose Roofing in Charlotte NC Residential Roof Company and Contractor; Over 25 Years of Success! There is no way of knowing when a hail storm is going to strike. There is also no way of protecting your roof from Mother Nature, but there are ways to check for hail damage and proceed accordingly from Rose Roofing Charlotte North Carolina. Damage from hail will differ according to each roof type. Hail damage to shingles will not look the same as hail damage on a metal roof. Here is a look at what to check for on your roof following a hail storm. Most homeowners don’t pay much attention to their roofs until a problem arises. That often leads to costly roof repair, much of which could have been prevented with a routine inspection. Here is a look at how regular roof inspections from http://RoseRoofingCharlotteNC.com/ can save you money. The winter months seem to be growing harsher and harsher with each year which is not a good sign for homeowners as it is their roofs which have to take on the brunt of Mother Nature’s fury. It is not possible for us to prevent these harsh winter months, however it is possible for homeowners to take the necessary steps and precautions to extend the life of their roofs by following these residential roof repair tips. It’s not only a clog in the gutters which affects its working, even small holes and cracks in them can lead on to bigger problems. All it takes is some patchwork of all these holes and cracks to save you lots of money and stress when winter sets in. It is good of maintaining a habit of giving your chimney an annual cleaning, especially just before it grows cold. This is because the roof’s protection levels depend a lot on the efficiency of the chimney area, flashing and ice shield. Your roof may have some accumulated debris, which has to be removed. This clutter includes all the branches, tree leaves and any other clutter which may accumulate on the roof and gutters. This is important as if debris accumulates on the roof, it leads to full gutters which in turn has a negative impact on your drainage system. Even an accumulation of ice because of too much debris can lead to expensive roof repairs. It is however important that you wear gloves when you remove debris and have the necessary precautions in place to prevent any possible falls. The strong and fierce winter winds can lead to tree limbs just sailing through the air to consequently lead to lots of damage to your roof on an impact. This is why you need to hire a professional to remove any dangerous tree limbs you find near or on your roof. Remember, all it takes is a single limb to do lots of damage to lead to an expensive and uncomfortable winter for you! You naturally depend on your heating systems to keep you and your family warm during the frigid winter months. So any obstructed vents can lead to a buildup of moisture in the attic which in turn leads to lots of extensive roof damages. However by checking, and installing more vents, it is possible to stop the damming of ice. Do check to find out if there are any signs of infestations or pests like mice or squirrels on the roof area. As pests can do lots of damage, it’s necessary that your roof and attic area are not homes to these rodents! A professional roofing company can take care of all your roofing problems throughout the year. No matter if you are looking for help with residential roof repair or roof replacement, professional roofing company is the solution with their team of the best roofing contractors Charlotte, NC.